The new report subscription feature is really nice, but only being able to subscribe to 5 reports is not helpful. Most users who want to subscribe to reports want to do this for at least 10 - 15 reports. I'm not sure why the limit is hard-coded to be 5 but having a higher limit (like 25?) would be much appreciated. All Manager'e are asking why not more? 15 is ok for most effective KPI's. I would like some sort of justification for the arbitrarily imposed number of 5. Would 6 or 8 or 15 or 30 subscriptions really put a noticable amount of stress on a system that can handle hundreds of other automations and processes relatively seemlessly? we pay you millions of dollars - not to be limited to a 5 user subscription for my own data! this is ridiculous. better get this moving fast. this is such a bummer - which CEO or even director looks at just reports or dashboards ?? 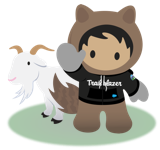 come to 2019 Salesforce . Yes, I agree! please increase the number of subscriptions to 25! Is there a way to subscribe to more than 5 reports? I thought I saw that you can request additional subscription with your Salesforce Account Manager. Increasing the limit to 10-15 would be very helpful! Please increase this limit (or take it away all together). Whomever set this limit does not run reports regularly. We need to create/run/subscribe reports to internal colleagues across different functions/departments and external customers/partners for different purposes and at various times through the week/month/year. 1 user being able to subscribe max of 5 reports is not a high enough qty per user. Each user should be allowed to subscribe at least 30 reports. This would be beneficial for our Field Managers to subscribe to reports for his entire team, which is always well over 5 people. I can see this benefitting multiple management and team roles if we had this functionality.